Introducing a new line of cinematic prop replicas with one of the most iconic masks in the superhero world: The Bat-Cowl from Batman Returns! 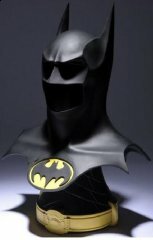 Limited to a production run of only 500 pieces, the Bat-Cowl has been professionally crafted from the original prop worn in Tim Burton’s 1992 film. 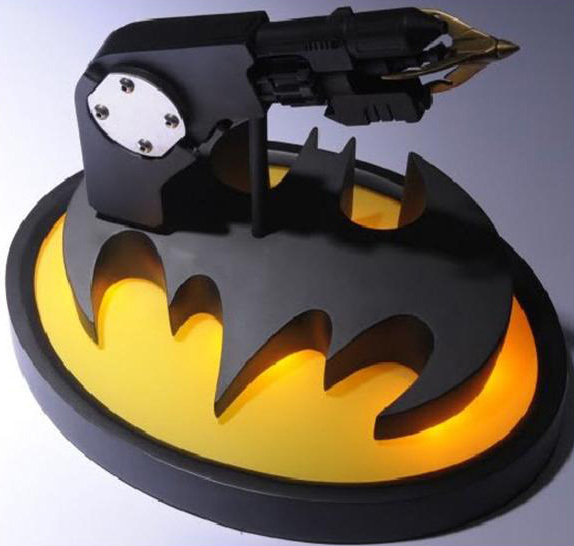 Composed of sturdy fiberglass, the non-wearable Bat-Cowl hangs on a utility-belt-styled display stand. The Batman Speargun is an exact replica crafted from the original. Its features include a folding handle and a light-up base. As with the Cowl, it is limited to only 500 pieces worldwide. Please note that the Speargun is not removable from the base.